Filled with on-the-ground insights and poignant personal anecdotes, The Targeter shows us the great personal sacrifice that comes with intelligence work. This is Nada's story, but it is also an intimate chronicle of how a group of determined, ambitious men and women worked tirelessly in the heart of the CIA to ensure our nation's safety at home and abroad. "A revealing and utterly engrossing account of the campaign to stop the terrorist mastermind behind the rise of ISIS. 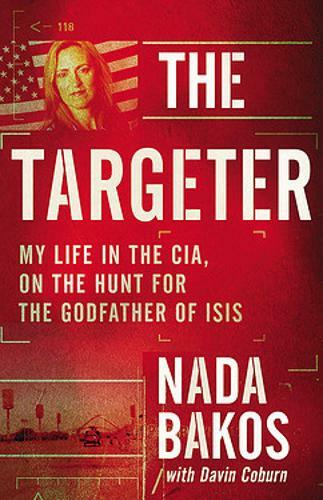 Former intelligence officer Nada Bakos takes the reader deep inside the CIA's secret war in Iraq with a fast-paced narrative that is at turns thrilling, funny, maddening and remarkably candid." "Nada Bakos had a frontline assignment during some of the most important chapters of America's post-9/11 wars. Her well written account of her work at the CIA is fascinating and underlines the many sacrifices she and her colleagues made in the fight against al-Qaeda. Bakos has also written one of the most clear-eyed and interesting accounts of what it is really like working at the CIA." --Peter Bergen, author of Manhunt: The Ten-Year Search for Bin Laden from 9/11 to Abbottabad.